Wow it's been a while since I posted here! So any photoshoots/ cosplay groups going on Saturday? I'll be at comic con only Satuday. Haven't heard anything about a group on Saturday yet, but I'll totally go! I posted there will be a DC photo shoo that I will be organizing. If anyone is interested please reply. Yeah are there any open/non specific photoshoots going on? 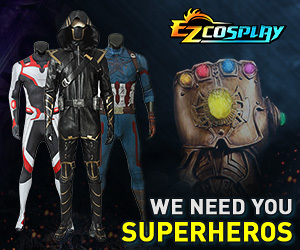 Would anyone be interested in a general cosplay.com meetup? I could organize something if people wanted. I can email you the details. I would have answered you earlier but I did not get notification on your reply. If anybody found any Pokemon or Doctor Who meetups let me know. I will be wearing Neko Sebastian Michaelis that day. I do have a young master, but I am not sure what day she is doing Ciel. I will be normal Sebastian on Thursday and Neko Sebastian on Saturday like I said.